View our range of high quality, reliable, 100% Italian made commercial blast chiller/freezers, refrigeration and freezer equipment. With a diverse range to suit all types and sizes of applications, these machines offer high performance, reliability and energy savings, always in stock and ready to ship Australia wide. 170L two door refrigerated counter cabinet. 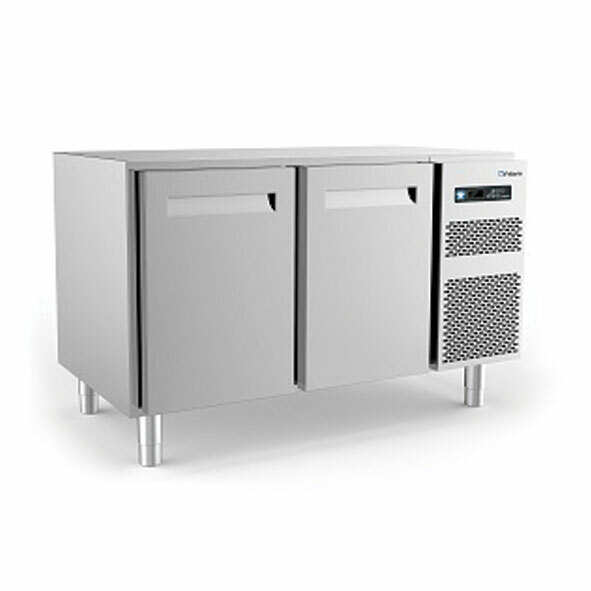 256L three door refrigerated counter cabinet. 170L two door freezer counter cabinet. 256L three door freezer counter cabinet. 495L upright refrigerator one door. 1085L upright refrigerator two door. 495L upright freezer one door. 1085L upright freezer two door. 800L upright compact roll in refrigerator one door. 800L upright compact roll in freezer one door. 1170L upright roll in refrigerator one door. 1170L upright roll in freezer one door. 2580L upright roll in refrigerator two door. 2580L upright roll in freezer two door. 18 x 1/1 GN meat aging cabinet with humidity control. 3 x 1/1 GN bench model blast chiller / freezer. 5 x 1/1 GN self contained blast chiller / freezer. 8 x 1/1 GN self contained blast chiller / freezer. 12 x 1/1 GN self contained blast chiller / freezer. 12 x 2/1 GN self contained blast chiller / freezer. 16 x 1/1 GN self contained blast chiller / freezer. 20 x 1/1 GN remote blast chiller / freezer. 20 x 2/1 GN remote blast chiller / freezer. 2 x (20 x 2/1) GN remote tunnel blast chiller / freezer. 4 x 1/1 GN Genius blast chiller/freezer & cook/hold oven. 7 x 1/1 GN Genius blast chiller/freezer & cook/hold oven. 10 x 1/1 GN Genius blast chiller/freezer & cook/hold oven. 14 x 1/1 GN Genius blast chiller/freezer & cook/hold oven. 10 x 2/1 GN Genius blast chiller/freezer & cook/hold oven. Customers in the professional refrigeration sector of the market, today as in the past, are ensured top quality, superb functionality and versatility plus total reliability with Polaris. This foremost company in the sector has always observed, interpreted and often anticipated developments in the catering world, manufacturing specific systems to fully meet constantly new and different requirements. Innovation is our strength and excellence our philosophy. Customers may therefore choose the best product for their needs in the assurance of always having the top quality associated with Polaris’ experience.